Meticulously maintained open floor plan with HIGH ceilings and tons of natural light flowing through home. This spacious 2 Master Suites, 2.5 baths + Den ( which could easily be turned into 3rd bedroom) with over 3500 sq.ft. located in Eastpointe Country Club, a highly desired Palm Beach Gardens location. Gorgeous updated kitchen, beautiful tiled patio, New Roof, New AC, Excellent Schools. This gated communtity of Eastpointe offers (2) FAZIO golf courses and just minutes to beaches, shopping, restaurants and Airport. 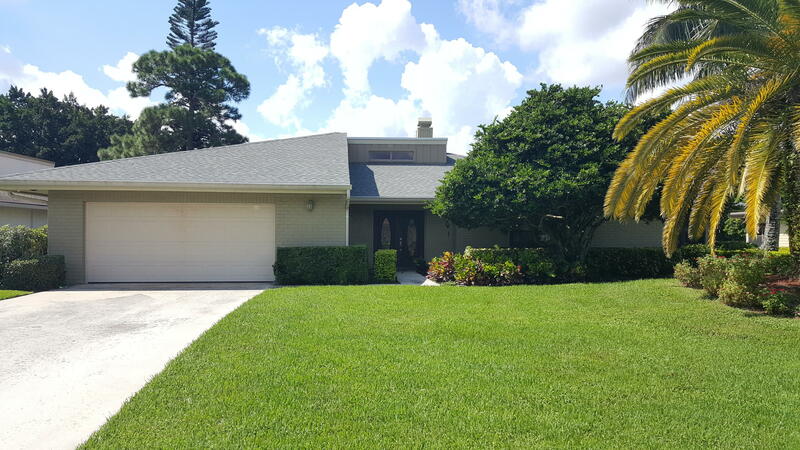 Eastepointe is one of Palm Beach Gardens hidden GEMS!